Ordering your wedding invitations seems like one of those wedding tasks that doesn’t require much of an effort but it’s actually a thing that needs your attention at every step. From themes to price to customization to stationery designer’s portfolio, there’s a lot you must carefully consider to ensure you get the best result. 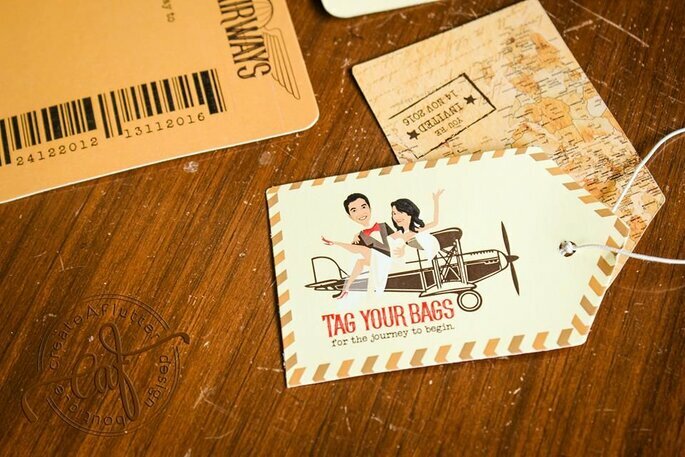 If you are a couple who likes to personalize every bit of your wedding, including your wedding invites, then here are the questions you should ask at your first meeting. Can I have a look at your at some of your unique suites? You might have already gone through the online portfolio but evaluating the designer’s work in person makes a lot of difference. Ask them what’s unique about every wedding suite. It will give you a sense of their expertise and creativity. Do you have an expertise in a specific style or theme? Can you show me an example? 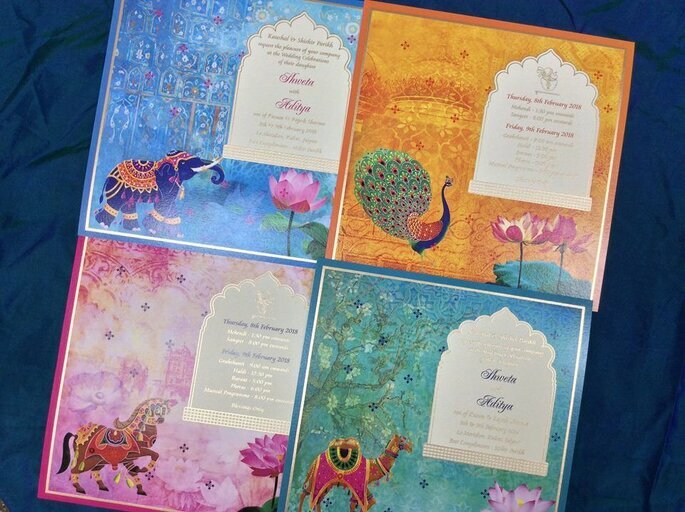 Foiled, engraved, laser cut, embossed etc–there are an unlimited number of patterns and designs for the wedding invites these days so it’s important to make sure that your wedding invitation brand at least has some kind of experience creating invites you want. Also, ask them if they can craft an entire suite keeping your theme in mind. Ask them how much do they charge if you want to order an existing invitation style. Can they also tailor it if you want? For bespoke invites, do they print them in-house or outsource them because both have their own advantages and disadvantages, so make sure you know them. Do you offer full-fledged customization? You might be impressed just by looking at their online portfolio but it is a possibility that those are the only designs and themes they cater to. If they offer minimum personalization and you want it otherwise, it’s better to look for other options. It is very important to ask if they also cater to other wedding paper. It is no doubt that it will only make everyone’s jobs easier and especially yours if you have a particular theme in mind for your entire wedding. 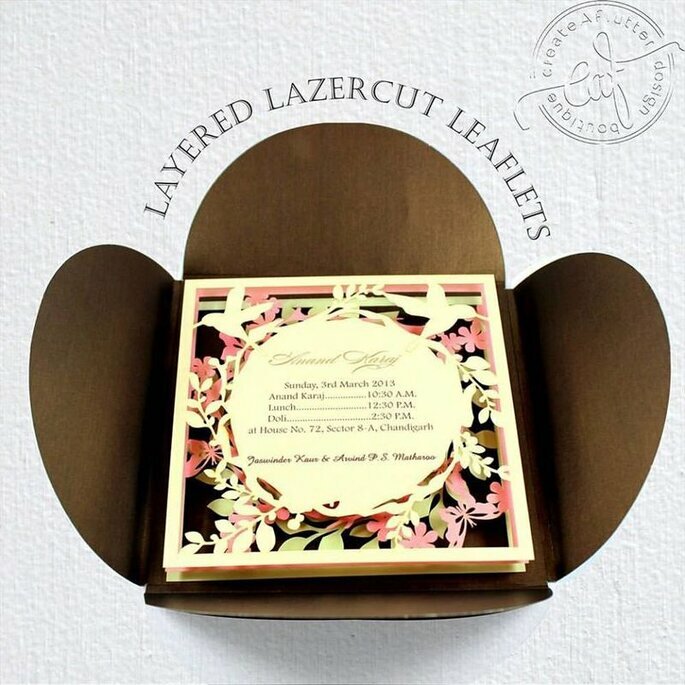 Make sure you ask them if the printing of table cards, save-the-date, outer envelope, place cards etc is also possible. Do you have an option of printing pictures on my wedding card if I have some in mind? If you want to include the photographs of you and your to-be husband, you might have to ask them if that’s the service they provide. And if they do, do they also provide retouching, color correction and color changes? Do you offer a customized package for the services I just asked? 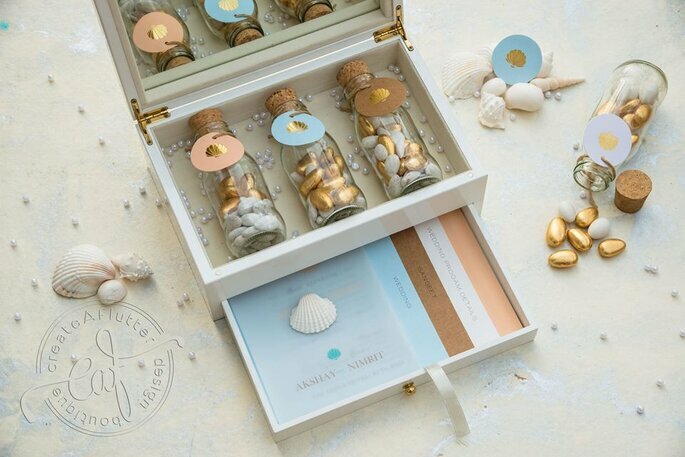 Yes, you want the best of the best and you have no problem spending as much on the inviations as it requires, but wouldn’t it be satisfactory if they lower down the cost and create a special package for you so you can spend that extra on the impulse wedding trousseau shopping? Obviously it’s important to take care of this timeline. Make sure before signing the contract that the cards are getting delivered at the right time so that they reach your guests on time. If you want the entire process to be a little faster, then ask them if they offer rush delivery, and make sure it doesn’t compromise the quality. I need to see a sample after placing the order, is it possible? This one’s a no-brainer. It is important that you have a look at your invites to check if it is what you want. No matter how experienced the designer is, it’s possible that your invites are a little bit different than what you have visualized. Ask them how much extra would they charge for this option. How much in advance do I have to pay and what is your refund policy? After you have settled everything, ask them how much do they take in advance. It’s a rare situation but if you need to cancle the order, then ask them how much in advance do you have to tell them and what’s their policy. Save this list as important and take it with you during your visit!